Check out our Services page for new service offerings!! Welcome to Perpetual Monument Sales. We are here to assist you in the selection of an appropriate memorial, one that will forever celebrate your loved one's life in the most special way. We feel a memorial is very important because it establishes a place where current and future generations can reflect on the live of your deceased loved ones. Our parent company is Monument Sales in St. Cloud, MN, one of the industry leaders in cemetery monuments. We as a company are a complete manufacturer, meaning we handle the monument from rough block to finished product. THERE IS NO MIDDLE MAN, which means great selection and great price. We use the latest technology to streamline monument production and get you exactly what you need. We take your ideas, prep a proof drawing for you, and only after you are 100% satisfied does any work begin on the monument. 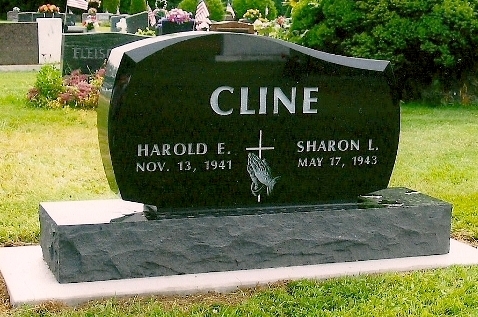 Beyond the sales of your standard headstone, we can offer you vases, bronze plaques, Veteran's memorials, cremation memorials, cremation urns and vaults, and granite park style benches. 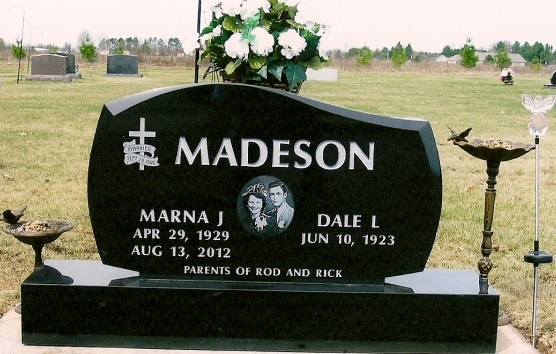 We also specialize in the service of raising, leveling, and washing of your existing memorial. Please browse the rest of our website for examples of what we can do to eternally memorialize your loved ones, and for information on how to contact us.